I had the pleasure of drawing 14 contestants for ‘Mrs Legend’ an International beauty pageant organisation. 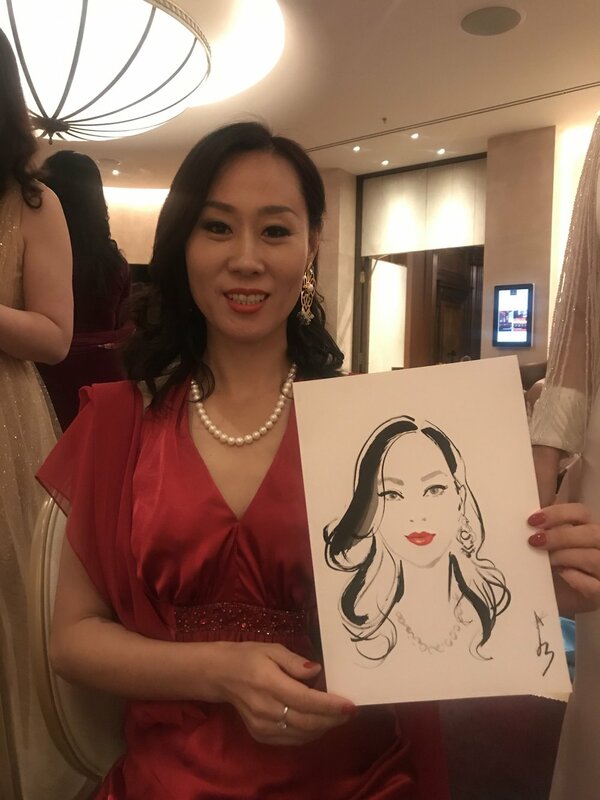 Commissioned by their sponsor Pragnell Jewellers, I sat in an elegant suite in the Four Seasons Hotel at Tower Hill, drawing the glamourous ladies’ portraits . 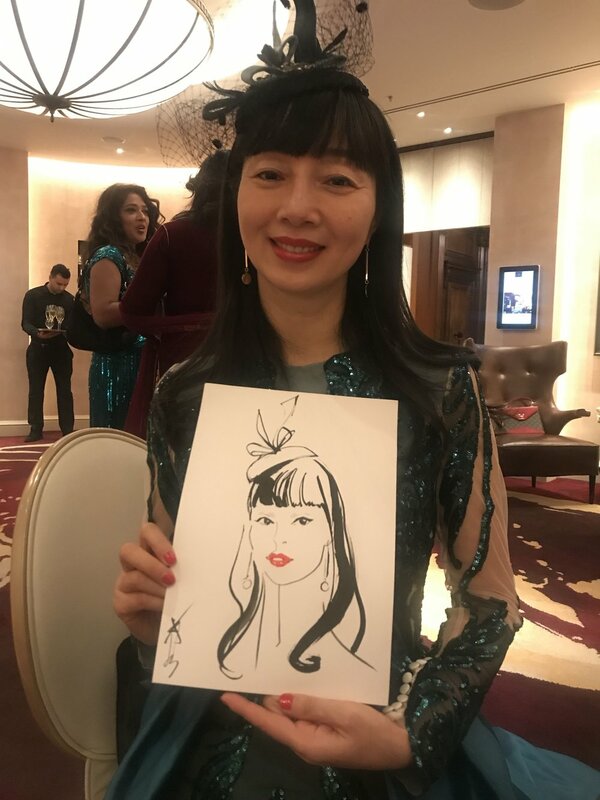 Each portrait took @ 12-15 minutes though I had a small amount of preparation pre-event so I had some of the guests’ sketched out’ in rough pencil format already- this took some of the time pressure off!